Identifying genuine traffic police officers is likely to be difficult for motorists as it emerged that expelled policemen and unscrupulous people were mounting illegal roadblocks using spikes to collect cash from unsuspecting people. According to police, there was a “fifth column” that masqueraded as police officers in a bid to tarnish the image of the force. Police said they were investigating such cases in the city and urged members of the public suspicious of any group of people mounting roadblocks to contact them on hotlines (04) 748836, (04) 777651, (04) 703631 or any nearest police station. 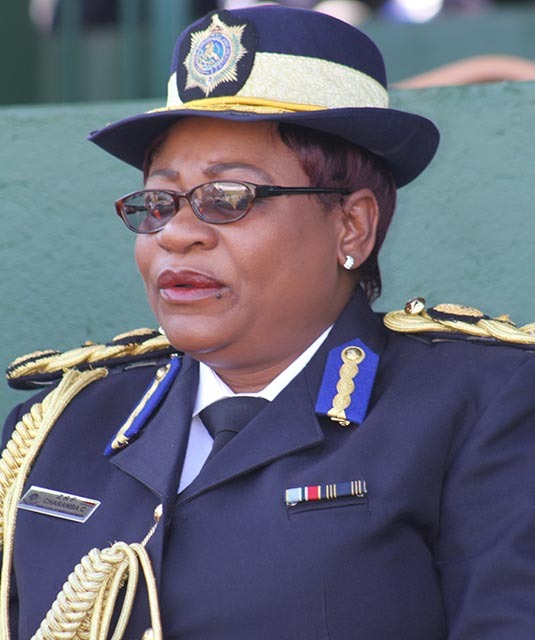 Addressing journalists in Harare yesterday, police chief spokesperson Senior Assistant Commissioner Charity Charamba, said the force had a clear constitutional mandate to safeguard and preserve law and order countrywide. “Of late, we are noticing a disturbing phenomenon where some individuals or groups of people have gone on an overdrive trying to paint a gloomy picture about the Zimbabwe Republic Police. They are employing numerous strategies in their bid to discredit the police service, tarnish our image and foment hatred. “We are fully aware of the machinations of some unscrupulous elements who have formed a Fifth Column that masquerades as police, conducting illegal roadblocks, using spikes and collecting money for themselves. These elements include disgruntled expelled members of the ZRP. We are, however, investigating the exact nature, composition and scope of this criminal group. Very soon, we will be able to establish whose agenda they are driving and in particular, the brains behind their illicit operations,” she said. Snr Asst Comm Charamba said police would soon apprehend the criminals. “Wherever they are, we are coming for them. Already, we have busted some of these criminal elements and we are grateful to members of the public for providing information to the police. We are equally grateful to the courts for ensuring that the culprits are kept away from society. “So far, there are some bogus police officers who have appeared before the courts and one has been convicted and is now serving a jail term. Currently, three men are in police custody helping with investigations for similar offences,” Snr Asst Comm Charamba. She said the force remained firmly guided by its enduring values as the force sought to offer premium services to the nation. Snr Asst Comm Charamba said they sought to remain responsive and proactive particularly in today’s criminal world that had become exceedingly complex and required the employment of diverse proactive measures of crime prevention.